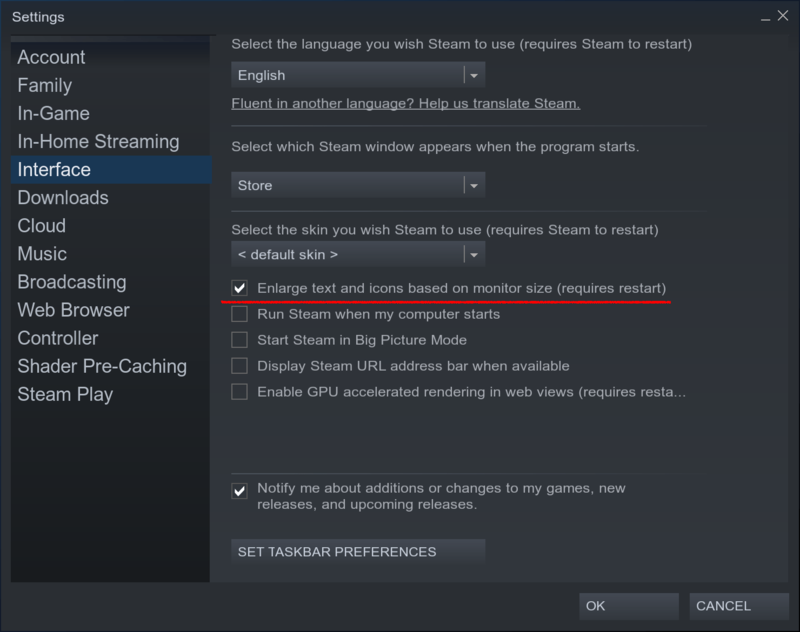 Since I don’t use Steam that much I don’t know when it was added, but it’s nice that Steam is no longer tiny on my UHD monitor. Such a rare occurrence, how nice that I can resize it, I thought. Until I actually tried to resize it. Notice how nicely it stays put to its initial size. In its favor, it’s not one of those windows that prevent copying. 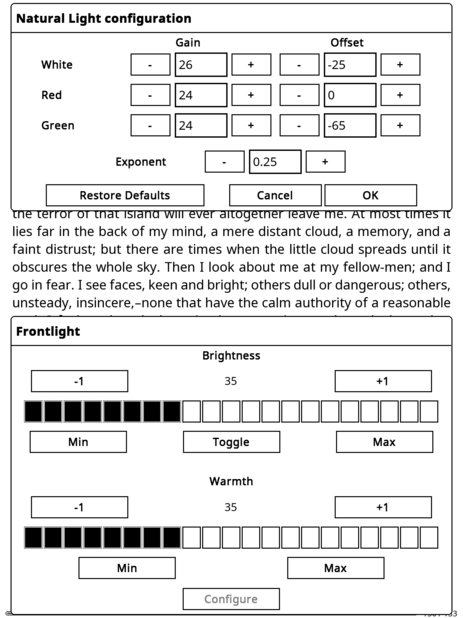 As one of the maintainers of KOReader, a versatile a document and image viewer for E Ink devices, I’m proud to announce the latest release. Twenty-five years ago today, the Maastricht Treaty took effect. So let’s take a moment to enjoy the Anthem of Europe before moving on to regular business. This release introduces support for BQ/Fnac devices, ported by @pazos (#4294). 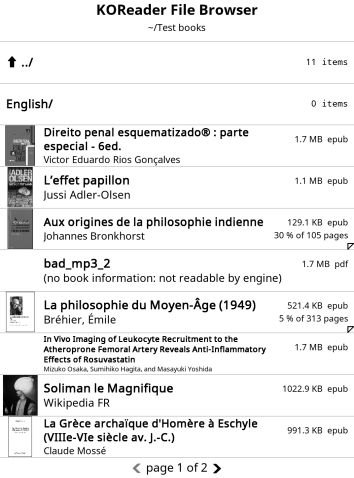 More information about how to turn your device into an open Linux reader can be found here. You will have to replace /etc/rc.local with the content of koreader-standalone.sh. We hope this sparse documentation will suffice for the moment, because we really wanted to include all of these devices in this release! Going forward, the tagged releases on GitHub will be considered stable, unless otherwise indicated by a suffix such as -beta or -rc. Hopefully this will remove user confusion about which release to use, particularly since new users will often be on newer devices that require a recent version (#4292). The previous beta unfortunately broke OTA updates. This was quickly fixed (#4150), but you might need to update manually. This release introduces support for the Sony PRSTUX, ported by @v01d (#4198). There is now also a basic text editor (#4135). A quick little note on kdenlive: to use the composite and transform transition it needs something to composite to. Just the regular black background won’t do. I normally only use color clips for colors other than black, so I was a touch confused by the transition not working. 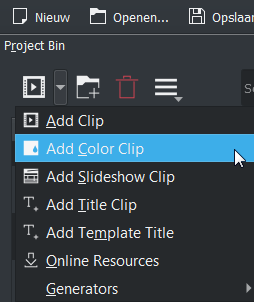 If you don’t know how to add one, it’s in the top left (or wherever you put the project bin). This release debuts the new KOReader logo, courtesy of @AliLozano. We’re very happy with it! MuPDF has been updated to version 1.13, which means there is now basic support for tables in EPUB in that rendering engine. This release significantly improves usability on non-touch devices thanks to @onde2rock. @dengste dotted the i’s and crossed the t’s of natural light support by implementing an automatic setting for warmth. KOReader now also supports the Pocketbook Inkpad 3 (PB740). Last but not least, this release debuts an AppImage for Linux desktop computers. Besides the emboldened introduction, there’s been a small change with big consequences. KOReader will now start in CoverBrowser view by default (#3834). If you want to change to a different view, choose the file browser menu (top left) → Display mode → Classic/Mosaic/Detailed. So what is this “AppImage”? Simply put, it’s a portable app for Linux, which has been a long-standing request (#1417). After you download the file, you’ll first need to allow it to run as a program. You can do so by right clicking in your file manager, choosing Properties → Permissions and checking the box that reads Allow this file to run as a program or something equivalent. If you prefer to use the terminal, run chmod +x koreader-appimage-x86_64-linux-gnu-v2015.11-1644-ge39ed90_2018-04-09.AppImage. The AppImage is a release version of what we KOReader developers call “the emulator.” It has existed since all the way back in 2011 to ease the development process. Until the past few weeks it didn’t have any of the regular desktop amenities, but I’ve added a few over the past weeks. The improvements include dragging and dropping a file onto the window to open it, a title that indicates the currently opened file, a basic albeit imperfect form of window resizing and a filechooser dialog accessible through Ctrl + O. For now the filechooser will only work if your system has Gtk3 installed. Because the AppImage is built on top of the emulator, you can set default window sizes and DPI through the command line. 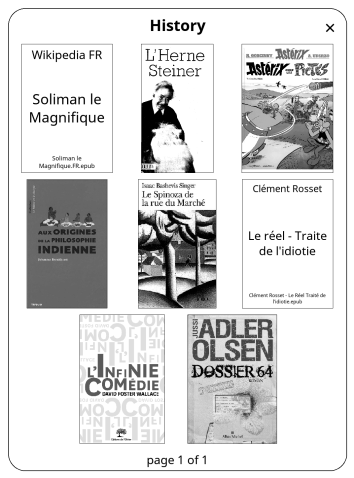 EMULATE_READER_W=2000 EMULATE_READER_H=1500 EMULATE_READER_DPI=180 ./koreader-appimage-x86_64-linux-gnu-v2015.11-1644-ge39ed90_2018-04-09.AppImage. You could also try out other debugging aids such as EMULATE_READER_FLASH=100. There’s also another more practical use besides just reading documents: you could use the AppImage to verify whether a bug is specific to your device or if it’s inherent in the program. All of the improvements I mentioned above, such as dragging a file onto the window, were merely part of making the emulator easier to use. There’s not much point to emulating the limitations of a Kindle or a Kobo if you’re just trying to figure out why a document crashed the program! But a better emulator is also a better desktop app. What actually pushed me over the edge into creating the AppImage, which was surprisingly easy in spite of the somewhat sprawling yet vague documentation, was @onde2rock‘s efforts to make the program properly usable on the Kindle 4NT and other older non-touch devices. After the program became usable without touch, I thought it’d be a fun experiment to implement game controller support (#3819). 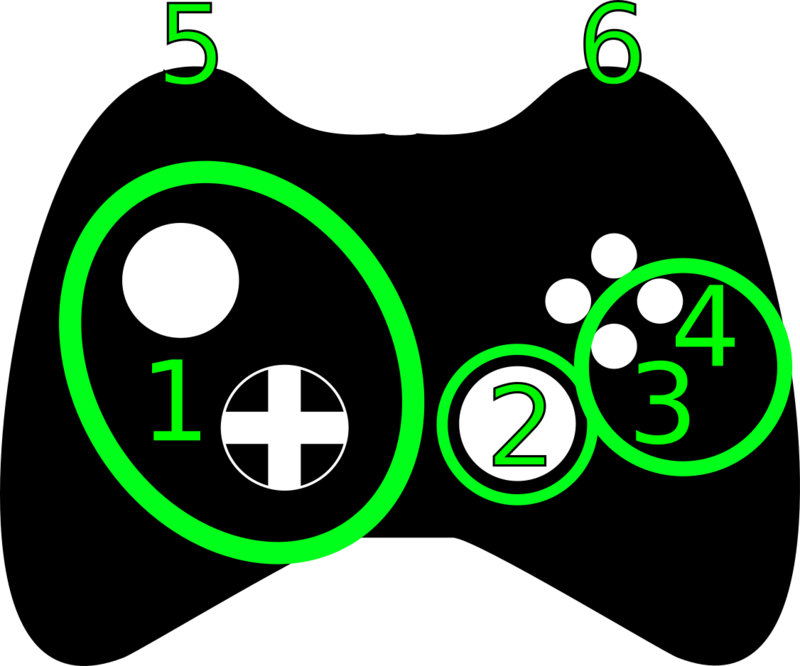 The control scheme is depicted below, and you can use it in the AppImage. It’s currently equivalent to the functionality offered by the Kindle 4NT. It might sound slightly odd, but it’s rather nice to just lean back with a gamepad while having some document on your screen. I implemented it as a half joking “wouldn’t it be cool if…” but it turned out to be a killer feature, at least to me. It’s what made me think that having KOReader easily available as a desktop app just might be a worthwhile endeavor. The basic problem: the various mics I own are all pretty terrible in their own way. This is how to lift it from unacceptable to bad, but similar principles apply to better mics as well. This post is dedicated to those who don’t put up annoying video tutorials lasting several minutes. Admittedly I could’ve recorded and uploaded this in a few minutes rather than the ten or so it took me to write this post, so that probably explains. Disclaimer: I’m not an audio recording hobbyist, or I would have at least a low-end reasonable mic like the BM-800. This merely describes something incredibly basic I should’ve done last year with the integrated audio recorded by a Sony HDR-CX280E camera. I’m not sure whether the mic on my phone or the one on my webcam is the best for voice. I think it might be my webcam, so that’s what I used for these samples. Pretty terrible. This is how I sound on Skype. Luckily Audacity is clever enough to filter out noise. 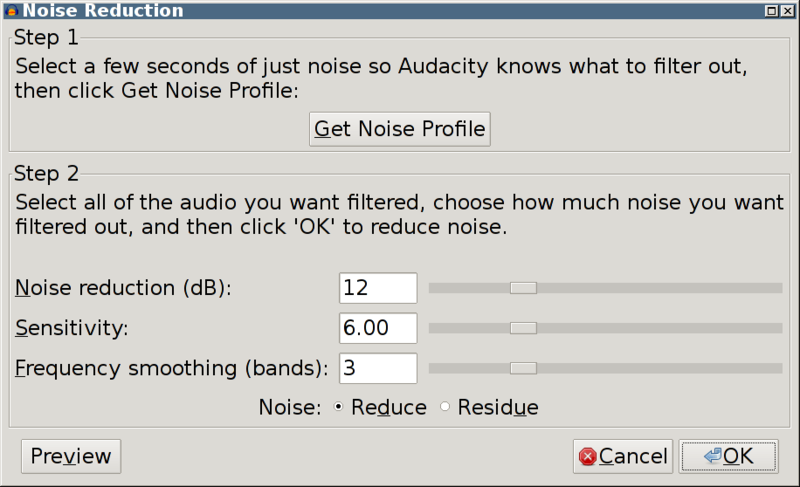 Select some noise, Effect → Noise Reduction… and click Get Noise Profile. Then make sure to select the whole track, or at least everything where you want to apply the noise filter, and actually do it. The final step is to apply a compressor, again through the Effect menu. Finally, you could consider limiting your finished audio file. In this case it doesn’t really do anything but it can prevent clipping. This release adds support for the Kobo H2Ov2 thanks to @cairnsh. 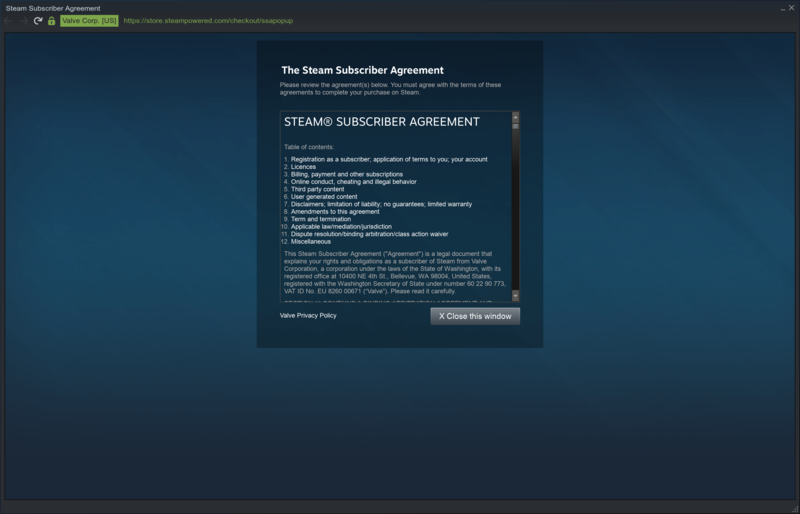 You need to use at least KSM 9 with update 1. @dengste added a widget to configure the natural light on the Kobo H2Ov2 and the Kobo Aura One in #3744. The Android x86 build is now a regular part of the nightly builds (see #3384 but it wasn’t finalized on the build server until koreader/koreader-misc#14). If you highlight some text you can copy it. Middle click in a text field to paste. I messed up my automation of backups, meaning that after two years my entire VPS had secretly filled up. This lead to MariaDB being unable to initialize. After taking care of the root cause MariaDB still refused to start. Stupidly, just removing the zero byte `/var/lib/mysql/tc.log` file took care of the problem.